"The sacredness of service can easily be lost while we are busy with the material concerns of worship or service. 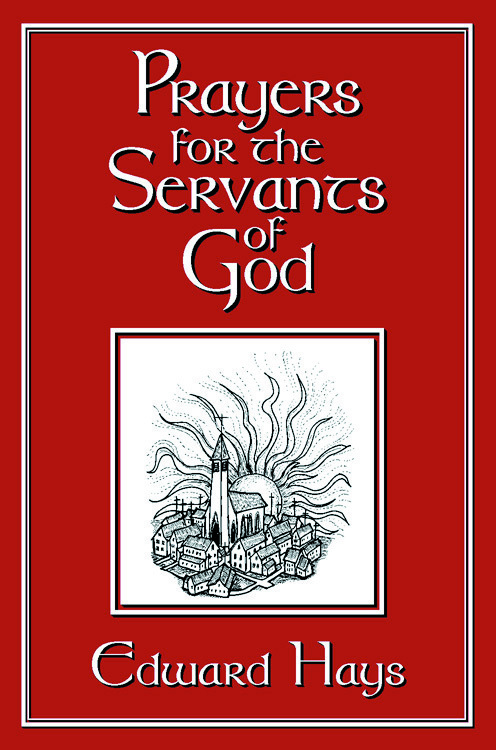 Yet within the mysterious plan of God, it is the spiritual transformation of every servant of God that is primarily intended, only of secondary value is the liturgical or charitable service that is performed. God does not need our sacrifice nor does the Divine Mystery find pleasure in ritual. Only in hearts that are increasingly dedicated with devotion and love is the Divine Being delighted." Original prayers to make times of service sacred. Devotional and lyrical prayers for presiders, deacons, lectors, eucharistic ministers, religious educators and many others who serve God's people; for private use, ministering, meeting, rehearsals and more. An appropriate and beautiful gift for a friend or family member in a church ministry—an answer to a pastor's prayer for how to assist parish members in their desire to be of service in the church and in their search for holiness.